Explore trails in unique environments in various places of the island, characterized by different degrees of difficulty. 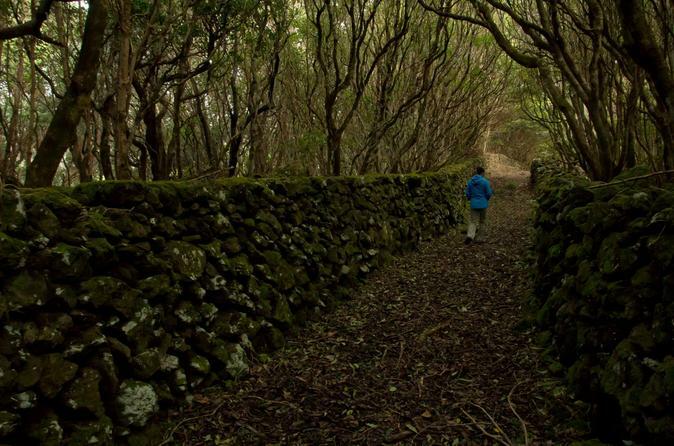 A lot of information about the Natural and Cultural heritage of the island is given during the walking. Understand the ecology and geology of the island, and learn to identify the endemic plants and animals of the island as one of the main goals. See 4 walking trails to remember. Itineraries idealized for landscape and nature photography lovers. When the first rays of light peek, the tripods will be already assembled, or you can say goodbye to the sun taking unique images of the Golden Hour. 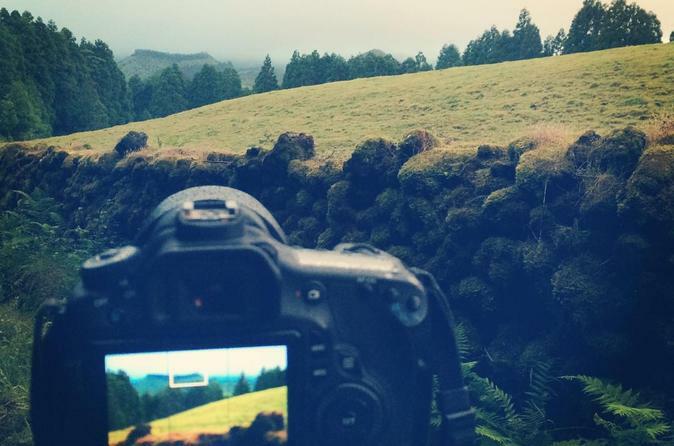 An awesome photographic experience in the Azores islands. 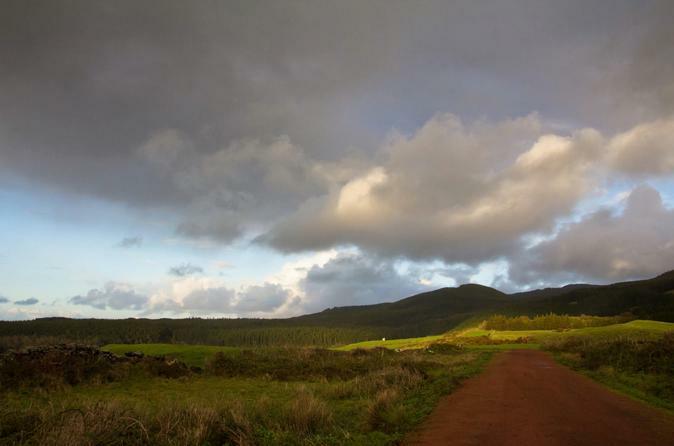 This is a 4x4 tour stopping around Terceira island while talking about the nature and the landscape in the most iconic locations. An off-road tour visiting the natural beauty of the island's interior. 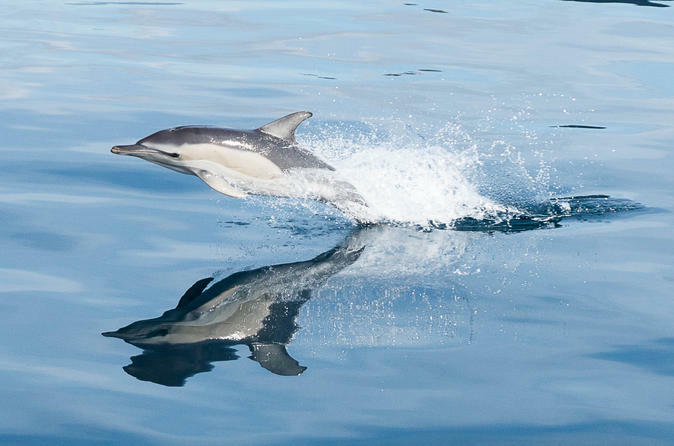 Visit Portugal's Terceira Island and enjoy the unique opportunity to swim with dolphins and observe these cetaceans in their natural habitat. Get suited up with the proper equipment and dive in to the unique experience of dolphins swimming around. Hear them underwater and entertain yourself with their playful nature. A team of professionals ensure quality, safety and comfort. There is a lookout that searches for the dolphins from land, and enjoy yourself under the guide of an accompanying marine biologist who will give a briefing about the dolphins, how to use the equipment and safety procedures. Relax in the beautiful Azores region of Portugal and immerse in the underwater world while staying dry. 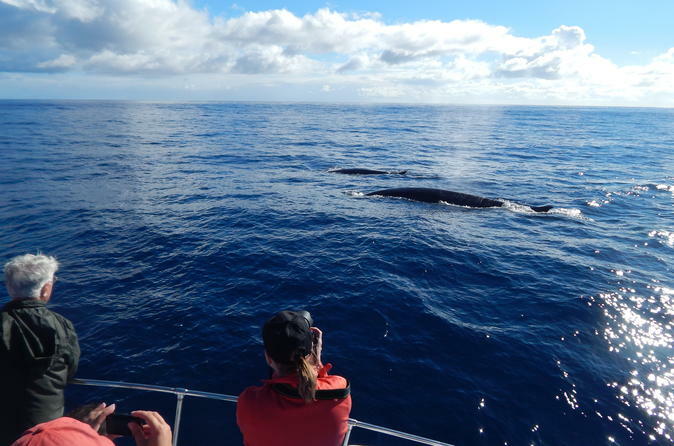 Embark on a whale watching adventure in one of the best places for this activity. Find more than twenty species, representing one third of all known cetaceans. Have fun under the guide of a team of professionals to ensure quality, safety and comfort. This unique activity has a lookout that searches for the cetaceans from land and informs the boat about its location. A marine is also on board, briefly describing the cetaceans and safety procedures. 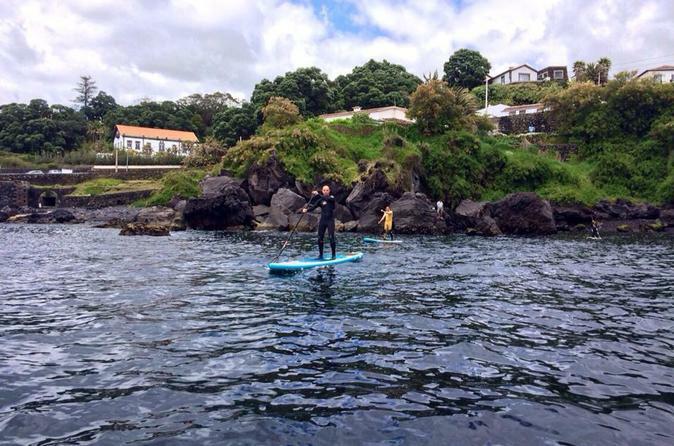 Enjoy a Stand Up Paddle (SUP) experience in the pristine Azores Islands. You, the board and the paddle will be in perfect harmony with Mother Nature.